THE Leader of the PNM Opposition, Dr Keith Rowley, is now intensifying what is clearly a campaign of misinformation by deliberately misrepresenting issues surrounding the housing allowance due to His Excellency President Anthony Carmona. This according to Minister of Trade, Industry, Investment and Communication, Senator Vasant Bharath. 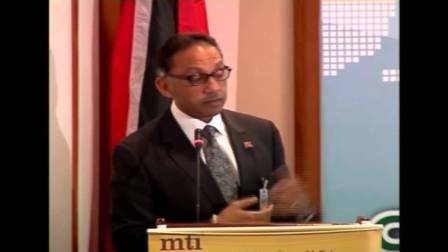 In a statement issued Monday, Minister Bharath condemned statements by the PNM Leader, Dr Rowley, who accused the Government of ‘deception’ on the issue of the President’s housing allowance. “What Dr Rowley has demonstrated, for yet another time, is that nothing he says can be trusted; nothing he says can be taken seriously. He has taken an issue that is clear in the facts and very clear in the legislative provisions and is making every effort to confuse and mislead the population,” Minister Bharath said.